Services:	 Admission to the mines for interest groups. Open Days. Reports on the mines. 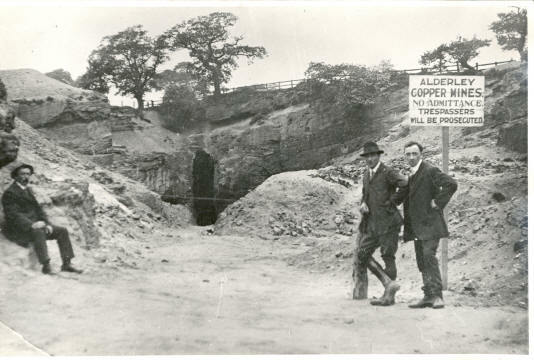 Additional information: The Derbyshire Caving Club website contains a wealth of information on the Alderley Edge copper mines, Cheshire. Left: an 18thC Coffin Level in Engine Vein. 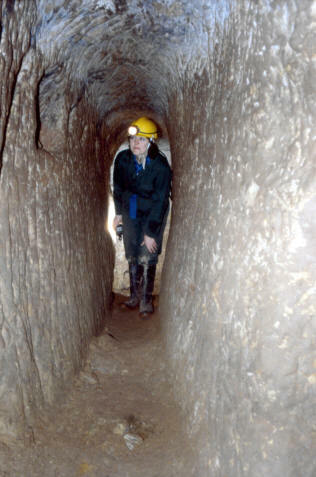 Above: the original entrance to West Mine, which is now accessed by a short shaft.